If you’ve ever gotten the black, blue, red or any other color “screen of death” on your iPod, you know the frustration that follows. Those John Tesh Acoustical Jams weren’t easy to find and now they’re trapped in limbo with virtually no way to access them. You can try and take the deactivated Pod to an Apple technician but that could be costly and there’s no certainties they can fix the problem or at least save your music. If you have the songs saved on your computer, you have options. Unfortunately, many music collections have been acquired over time and from many different locations. This advice will help you convert your music from your iPod to your PC so that John Tesh can withstand an unfortunate iPod crash. 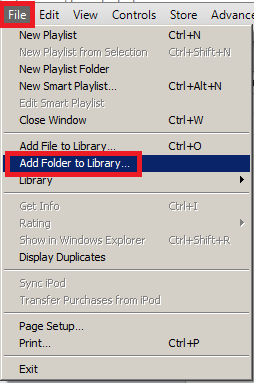 The first thing you’ll need to do to transfer music from your iPod to your PC is to show all your hidden files. Now that you can view all the files on your computer, plug in your iPod using the USB port. In windows explorer, click on the folder of the drive that is corresponding to your iPod. In this folder, you should see another folder titled “ipod_controls.” In the ipod_controls folder you’ll find files of music. The names will be scrambled something to the like of __Tesh__.. Drag all these files to a folder on your hard drive and they’ll be saved on your PC. Just having the files on your hard drive isn’t enough, you’ll need to drag them into iTunes in order to put them on an iPod. 1. Open iTunes and go to the edit menu and choose preferences from the menu. 2. Click on the Advanced icon. See the screenshot below. 4. In the dialog box, select the folder on your hard drive where you dragged the music files. You can do this by clicking on the change button. There’s also a box asking to “keep iTunes music organized” and you should make sure that this is checked. 5. Now in iTunes go to File>Add Folder To Library and select the folder on your hard drive where you transferred the music. 6. The music will then be transferred to this iPod and the names will conveniently be restored with song titles, album covers, artist name, etc. 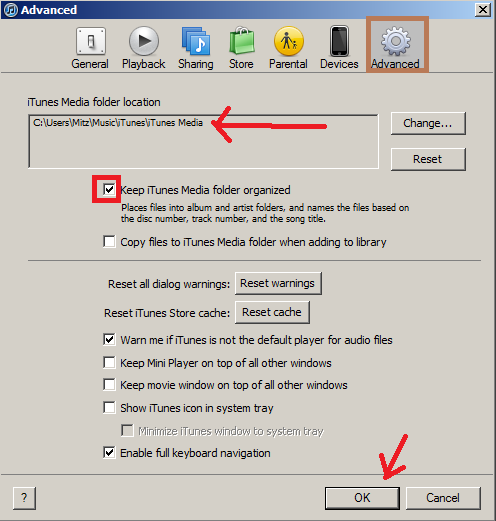 Transferring music from your iPod to your PC is a great way to ensure your music library is never compromised. You can transfer your entire collection to multiple iPods without having to sync them up to different computers. Of course this will take up memory on your PC so it might be a wise idea to purchase a removable flash drive or an external hard drive so that you can free up space as well as take your library on the go. At the very least, transferring your music from the iPod to the PC provides a safe back-up plan to ensure you’re never without Tesh. Yes true Naser! Apple products do make it kind of hard to do anything with files. I like to just dump everything on a device but with apple we have to sync nicely.